Now that the sun is finally shining and the weather is above freezing, it’s time to get those kiddos outside and playing! I am sure it won’t take much encouragement on your part to get your kids outside, but have you ever noticed that it sometimes takes some serious persuading (arguing) to put on bike helmet’s? We grew up in a generation that didn’t use seatbelts, we drove in the back of pick up trucks on the freeway, and we most certainly didn’t wear bike helmets in the 1980’s! Well, things have changed, we know better now, and our kids can benefit from the knowledge we didn’t have. So, when it comes to riding a bike, helmets are a must-have! But, who says you can’t make them more appealing to little kids? We received something new to try out and I get to share them with you! Check out these cool Tricksters Helmets, from the makers of Pillow Pets. Now kids can enjoy their favorite fluffy friends right on top of their noggins while riding their bikes. It’s a very fun idea for little ones! For the cost of a regular bike helmet, you can have a furry animal on it, too! Each helmet complies with safety standards, so you don’t have to worry about your child’s safety. With how cute these are, your kids will be reminding you to get their bike helmets on! 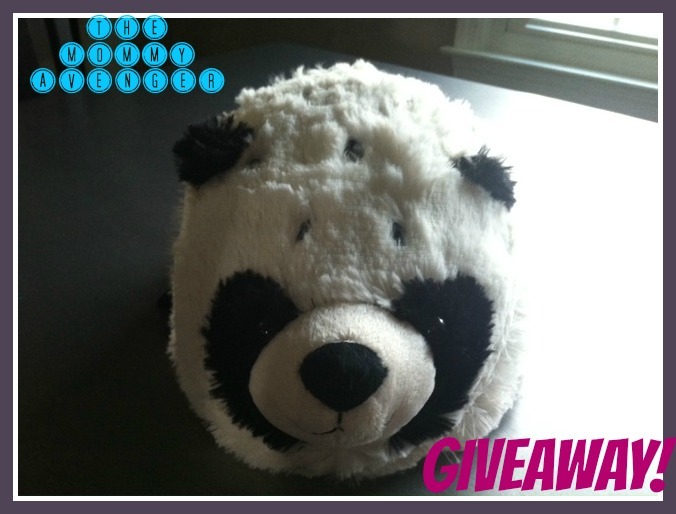 I am very excited to offer one lucky reader the chance to win a Trickster Helmet! To enter, email me at themommyavenger@hotmail.com with Trickster in the subject line or leaving a comment below telling me what your favorite stuffed animal or doll was growing up. Please like The Mommy Avenger on facebook, pinterest and twitter for an additional entry (but leave a comment telling me you did!). Winner will be selected on or about April 30, 2014 by random via qualified entries and notified by email at that time. Open to US residents only. *I received this product to facilitate a review, all opinions are my own. My favorite animal as a child was a monkey. I had several surgeries on my eyes as a child and my mom would always buy me a monkey stuffed animal after each surgery. Good memories! my favorite stuffed animal was this huge stuffed elephant my mom bought me when i was three years old. i loved that thing. she actually sill has it. my favorite stuffed animal as a kid was a baby lamb that my grandma bought me. i still have it. I had a “huggy bear” that would hug your arm.